This bread is high in quality protein, omega 3 and lower in carbs than regular bread. Just 2 slices per day will provide up to 30% of your daily fibre needs, maintaining an excellent digestive balance. This bread is high in quality protein, omega 3 and lower in carbs than regular bread. 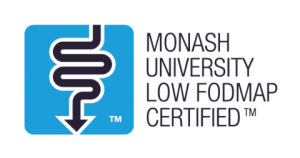 Just 2 slices per day will provide up to 30% of your daily fibre needs, maintaining an excellent digestive balance. This bread is low in salt and also low GI and is suited to someone searching for low GI bread. 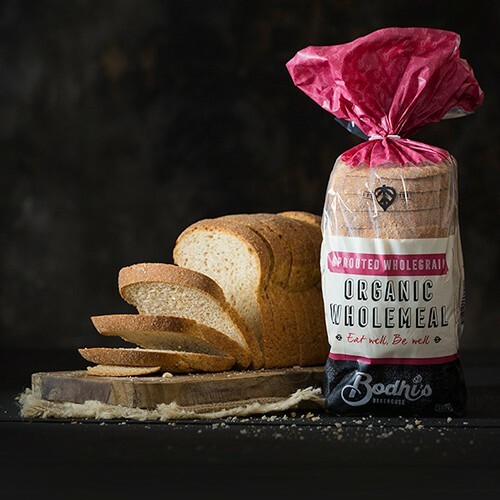 Sprouted Pure Spelt is another milestone bread of Bodhi’s Bakehouse. 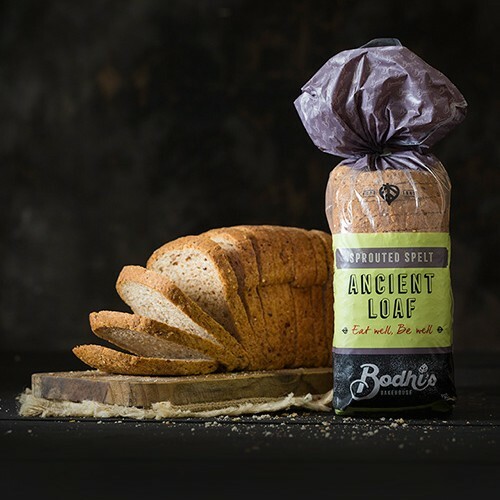 It is a loaf that is made using no processed flour, just sprouted wholegrains milled on site at the bakery, to create a fibre rich and satisfying true bread tasting sensation. 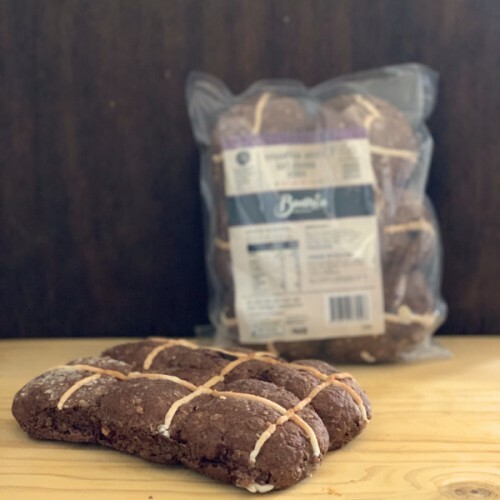 Sprouted Pure Spelt is a rich yet subtle tasting bread with the all natural and slightly nutty taste of spelt and wholegrains backed with a slight hint of sourdough. Use it anytime, but at least try it once spread with your favorite dip or spread. Good Source of of both Insoluable and Soluable Wholegrain Fibres, proteins & natural vitamins and minerals! 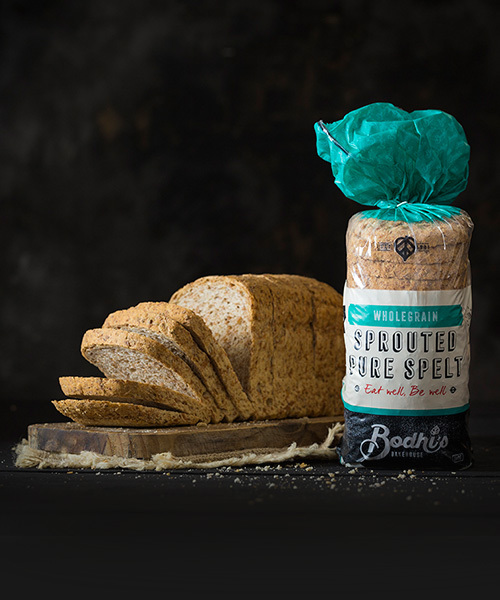 Eeating 2 or more slices of Sprouted Pure Spelt Bread everyday may help maintain better digestive balance by providing up to 30% of your daily fibre needs (whole grain fibre). 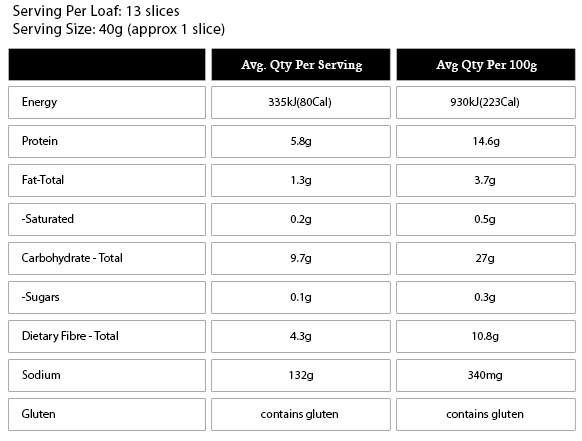 The bread is high in quality proteins, low in salt and lower in Carbs than regular bread and it has a very Low GI. Sprouted Spelt, Spelt Sour Dough, Sunflower Oil, Sea Salt, Filtered Water and Vinegar. This bread is just fabulous for those eating low carb. I love it.